After completing the items in the “New Merchant? 10 Things to do NOW” post, it is time to move on to more advanced strategy in your account. ShareASale offers a number of tools and features beyond the basics to help you customize and personalize your Affiliate program. Prospective Affiliates will compare a number of programs in a niche or category and look at a number of factors before applying for a specific Merchant’s program. If you create a competitive matrix for your program, you will be able to identify ways in which you can wet your program apart. View the ShareASale blog ‘Month of the Building Blocks’ for strategies on creating a competitive matrix. Common Question: How can I make sure my program is competitive for my category? Recommendation: Join ShareASale with a test Affiliate account to preview other Merchants in your category, in a similar niche, or those that have like-products. To sign up as an Affiliate, visit ShareASale.com and use the ‘Affiliate Sign Up’ option at the top right. For new Merchants I recommend manually approving Affiliates into your program – make sure the auto-approval setting is turned off on your Edit Settings page. This allows you to view exactly who will be promoting your program and where your company/products will be advertised. Remember, you can always “decline” an Affiliate today, and “approve” them next month if you want to work with them at a later date. When you are ready, you can setup a few targeted auto-approval rules to add ease to this process – view further information on Affiliate Application Rules HERE. Common Question: I have a number of coupon Affiliates applying to my program, is this normal? Recommendation: Yes. Upon launch, your program was sent out to the New Programs RSS Feed. Many coupon Affiliates follow this feed closely and apply to every program that comes through. READ THIS: “Coupon Tidal Wave”. 3. Segment and Organize with Tags! The tag feature allows a Merchant to personalize their approach to Affiliates by segmenting and organizing by Affiliate type, performance and sign up source… just to name a few. Tags are one of my favorite ShareASale features! There are endless possibilities that allow you to provide custom content targeted to an Affiliates’ promotional methods. Merchants are able to provide personalized commission rules, bonuses, banners/text links, coupons, and newsletters all by specific tag. Where To Find Affiliate Tags? Go to Affiliates > Your Affiliate List. ShareASale continues to make updates to the interface — adding new tools to help Merchants improve Affiliate relationships and build a successful program. – Webinars – Check out a Merchant 101 Webinar for a walkthrough of the interface to add ease in locating the tools and features within your account. – Wiki.ShareASale – The ShareASale Wiki is an excellent forum to both ask a question to the experts and find the answers to common questions. – ShareASale Blog – Check out and subscribe to the ShareASale blog to receive interface updates, Affiliate Marketing industry information, best practices, and announcements. 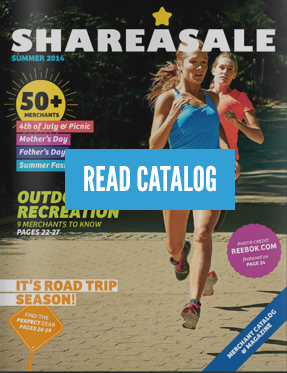 – Merchant Catalogs – ShareASale publishes a Seasonal catalog featuring Merchants by the topics included. Use Personalized Commission Rules to motivate your Affiliates for a specific promotion, during a period of time, or in your program in general! ShareASale offers a number of predefined rules you can customize to your specific goals. Common Question: Which commission rule works the best to engage Affiliates? Recommendation: The commission rule or structure chosen for your program largely depends on the specific strategy or desired outcome. The personalized commission rules can be categorized by join incentive, clickstream attribution, or transaction based. In the past I have seen the best results with personalized commission rules that include both an offer for an action, such as joining the program, along with an engagement technique. An engagement technique could be an additional bonus/offer, after the initial incentive, for a specific number of sales in a time period; certain creative is used; custom commission for a new customer; to name a few. The possibilities are endless with personalized commission rules; to begin, map out the type of Affiliate you would like to target along the goals of the promotion or incentive structure. Tip: Use Tags to provide custom commissions by Affiliate type, performance, sign up source, and so on! View the ShareASale Blog “Personal Commission Rules Updated!” for more information. – Are you offering an amazing coupon or deal to your customers? Create a few custom creatives for this specific promotion then apply a transaction based Personalized Commission Rule. Utilizing the Commission Rules, you are able to provide a custom commission when a specific creative is used. – How to engage Affiliates during your peak sales period and overall in your program? Use the Personalized Commission Rules to provide a bonus to any Affiliates that generate a certain number of sales in a specific time period. This is a great way to both jump start Affiliates in your program AND increase sales. View the excellent ShareASale blog ‘#HowTo – Setup Future Promotions’ for more information and best practices. Affiliate Marketing is a slow-growth channel and it will take time to build a solid base of Affiliates generating sales to your program on a regular basis. The rate at which a Merchant program builds momentum largely depends on a number of factors such as organic traffic and sales to the website beforehand, brand, and involvement. Common Question: When can I expect to see regular Affiliate sales and an increased number of transactions? Recommendation: Since each Merchant program and Organization is different, it is extremely difficult to provide a set statistic or average for when a program will begin receiving regular Affiliate sales. I suggest focusing on setting up the ShareASale program utilizing all of the tools and features (maybe from this blog post!) provided in your account to create the best first impression to Affiliates. Offer a variety of promotional tools to accommodate all Affiliate websites, communicate with your partners, and plan ahead! Very informative! Thank you for the post! I am starting the promo calendar as we speak. I look forward to the next one.